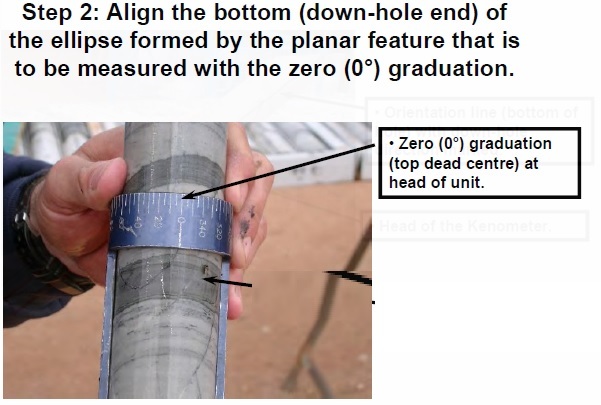 The most user friendly device for the measurement of alpha and beta angles in core samples. 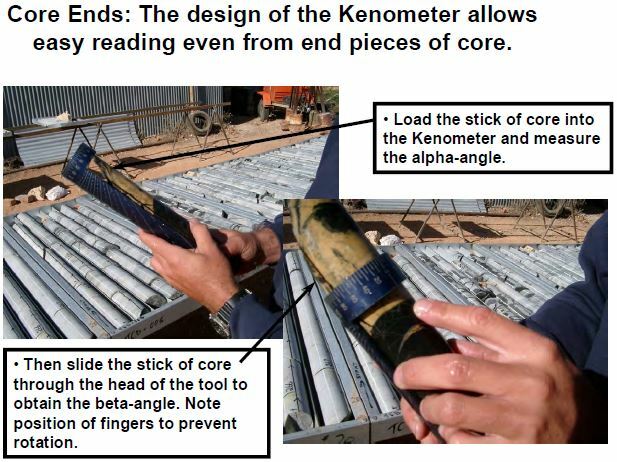 The Kenometer was designed to save you time in your core analysis while still providing you with accurate readings. This Australian designed and built geological tool made from anodised aluminium makes drill core orientation measurements fast and precise. The aluminium proves to give strength whilst being lightweight - perfect for field use. The tools measurement markings are laser etched meaning that even after years of use, the Kenometer will still be easy to read. 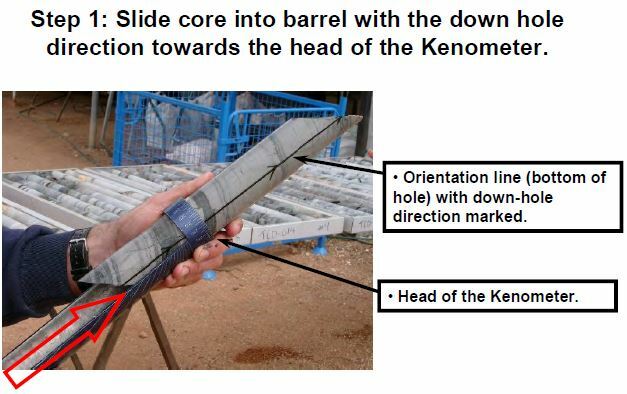 We supply both, so it's personal choice but here's the reasons the Kenometer is considered the preferred tool for most Geologists. The aluminium body of the Kenometer gives the tool a fantastic strength to weight ratio, the goniometer’s plastic construction by comparison is likely to suffer in field drops or in transit. The anodized coating is hard, durable, will never peel, and, under normal conditions, will never wear through. The purpose of anodizing is to form a layer of aluminum oxide that will protect the aluminum beneath it. The aluminum oxide layer has much higher corrosion and abrasion resistance than aluminum. The Kenometer is made in NQ2 and HQ sizes specifically contoured to the core shapes. For this reason, it’s protractor measurements on the side of the tool are more accurate as they are closer to the original curve of the core than in the goniometer. 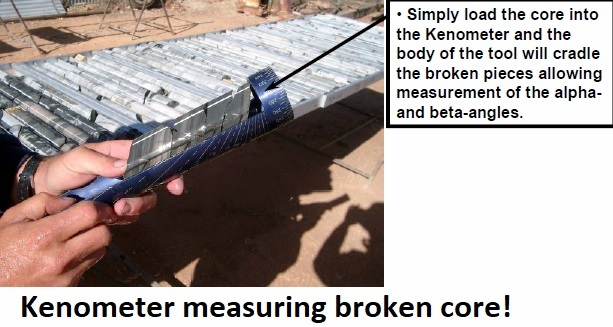 The Kenometer was designed to take both an alpha (structure) and a beta (rotational) measurement simultaneously. 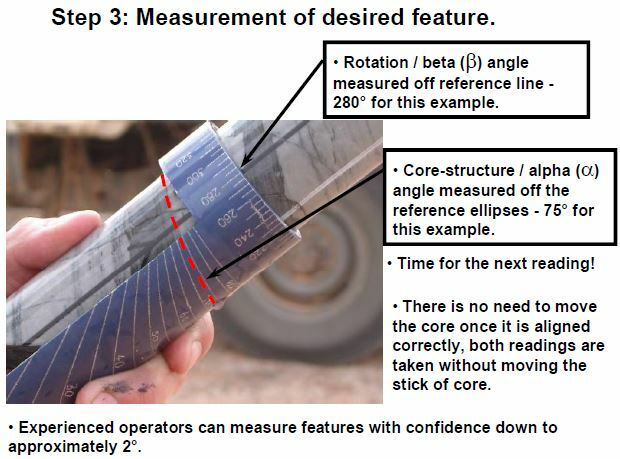 With one quick and easy process, once the core is properly aligned in the tool the user can take both the alpha and beta angles at the very same time. For more info on the differences between the Kenometer v the Goniometer view this video.